ABC has a treat for fans of The Great Holiday Baking Show. According to Realty Blurred, the network has renewed the show for a second season and given it a new title. Now called The Great American Baking Show, the cooking series is based on the popular British show The Great British Bake Off, which features skilled amateur cooks competing in a variety of baking challenges. Season one finished in December 2015 with decent ratings, earning an average of 1.03 in the 18-49 demo and 3.973 million viewers. Hosts Nia Vardalos and Ian Gomez are rumored to be returning for season two alongside judges Mary Berry and Johnny Iuzzini. The new season of The Great American Baking Show will reportedly premiere later this year. ABC has not yet confirmed the series’ renewal. What do you think? Are you a fan of The Great Holiday Baking Show? Are you glad it’s been renewed? 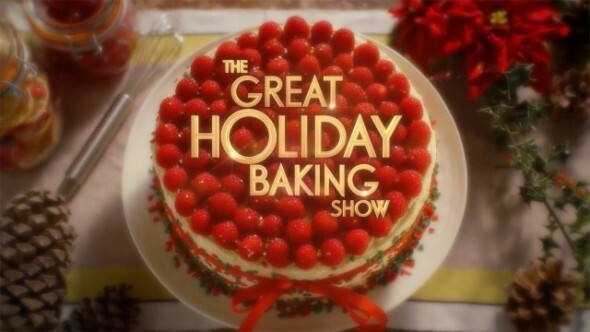 More about: ABC TV shows: canceled or renewed?, The Great American Baking Show, The Great American Baking Show: canceled or renewed?, The Great Holiday Baking Show, The Great Holiday Baking Show: canceled or renewed? How can I buy seasons one and two of the Great Holiday Baking Show? I love bith American and British versions. I have the british versions, all seasons, but still want the american versions! So excited for a new season! To be a hundred percent honest I prefer the British version, but I’ll take the American version. I second that Mary Berry is super fun to watch. One of the reasons why I like the British version better is because there’s a lot of comradery and not as much negativity- something there’s way too much of in television. But I digress….bring on the baking fun! Keep Mary Berry. Drop the rest, especially Johnny Iuzzini who was a major drag on the show. The Great American Baking Show? Why not call it The Great American Bake Off? Or The Great American Bake Show?